My App is rejected by App store. There is iAd and GoogleAnalytics(version 3.10) in the App.While submitting App to store I selected first 2 and Limit Ad Tracking settings in below screenshot. Any idea what may be the result? You don't need the advertising identifier for neither iAd nor GA. 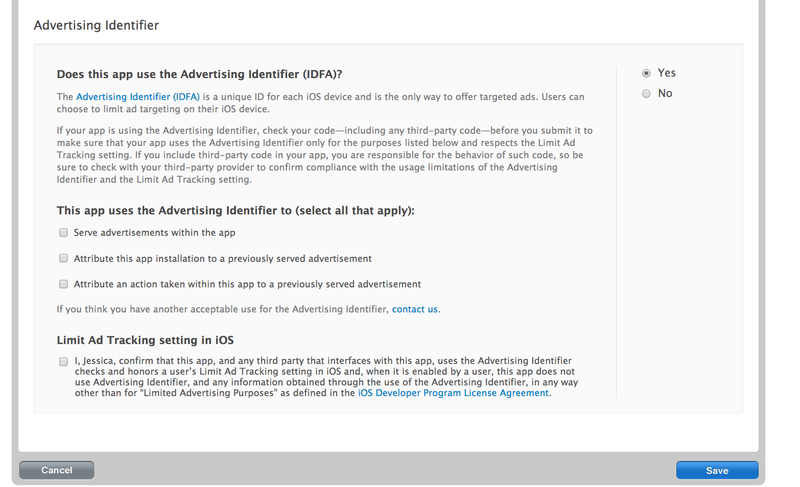 The GA iOS SDK allows you to optionally use the advertising identifier (which obviously enhances the tracking/analytics possibilities). Its use is optional exactly because of this Apple policy (only use the ad id for advertising purposes). 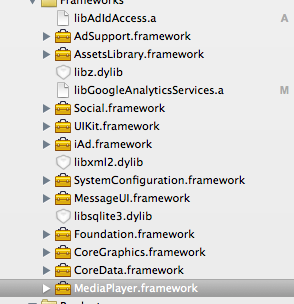 So, if you can't justify the use of the advertising identifier to Apple, you probably have to opt-out of GA ad id tracking (which you do by not linking against libAdIdAccess.a and the AdSupport.framework). Not the answer you're looking for? Browse other questions tagged ios identifier advertising or ask your own question.